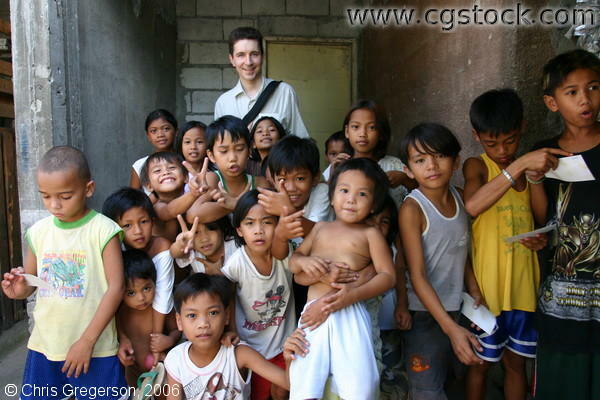 These are poor children but as you can see, they are contented and happy. Chris Gregerson, a photographer, is seen standing above them also happy to be with them. Some of these kids are his students. He had taught for sometime at their school as volunteer work.